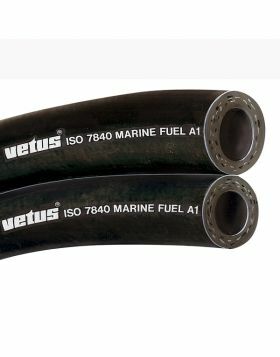 This water separator petrol fuel filter is designed for use with outboard motors, but is also suitable as a pre-filter for inboard petrol engines. The maximum capacity is 120 litres per hour and it can be fitted to petrol engines with a maximum output of 100 hp. The filter is supplied complete with all connector fittings for D 10 mm hose. The filter mesh is 10 micron.